Let’s write a formula to find the surface area of a cube. Select the greater expression of each pair without calculating the value of each expression. Be prepared to explain your choices. A cube has edge length 5 inches. Draw a net for this cube, and label its sides with measurements. What is the shape of each face? What is the area of each face? What is the surface area of this cube? What is the volume of this cube? A second cube has edge length 17 units. Explain why the area of each face of this cube is $17^2$ square units. 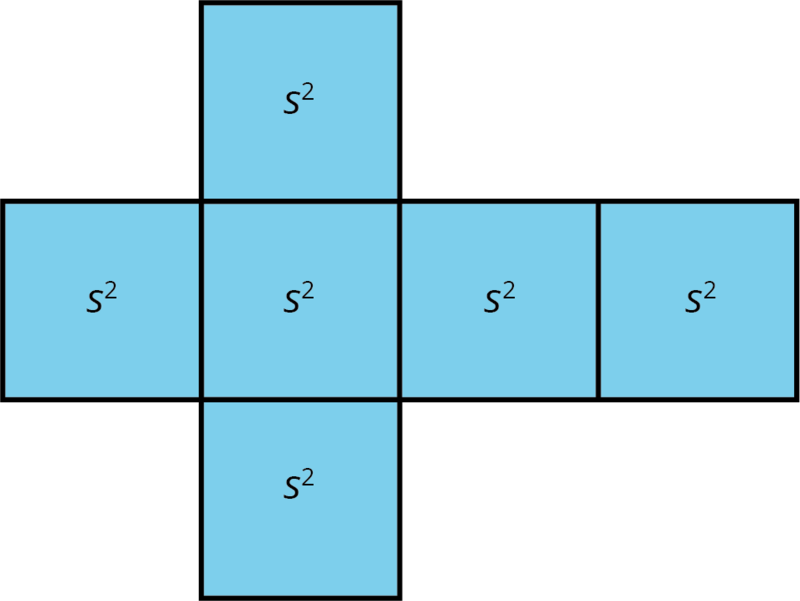 Write an expression for the surface area, in square units. Write an expression for the volume, in cubic units. A cube has edge length $s$. Draw a net for the cube. Write an expression for the area of each face. Label each face with its area. Write an expression for the surface area. Write an expression for the volume. The volume of a cube with edge length $s$ is $s^3$. A cube has 6 faces that are all identical squares. 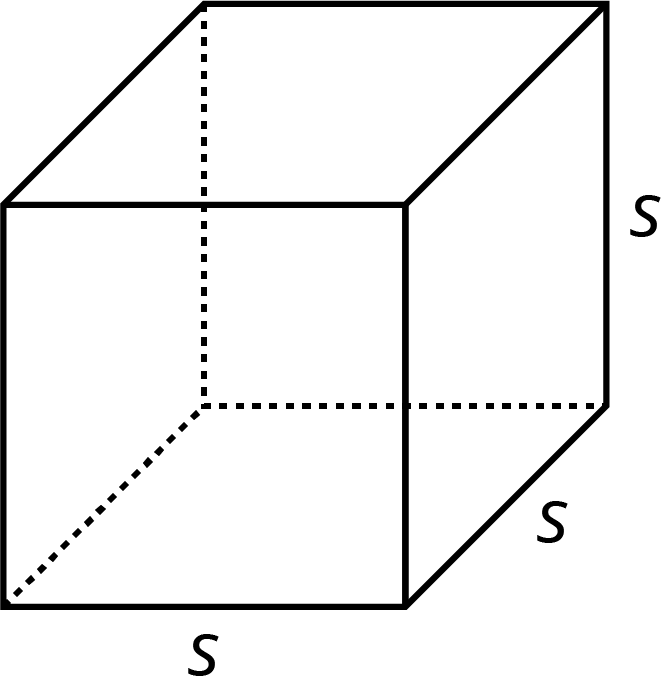 The surface area of a cube with edge length $s$ is $6 \boldcdot s^2$.